In its 3000 m² production workshop, GRELBEX Technologies proposes subcontracting services for the boiler making, the machining and the mechanized welding work of large and big size equipment and parts. 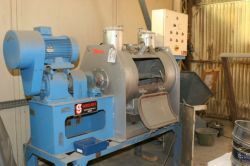 ▲ 1 parallel lathe, diameter 4600 mm, length 14 000 mm (load maxi. 60 tons). 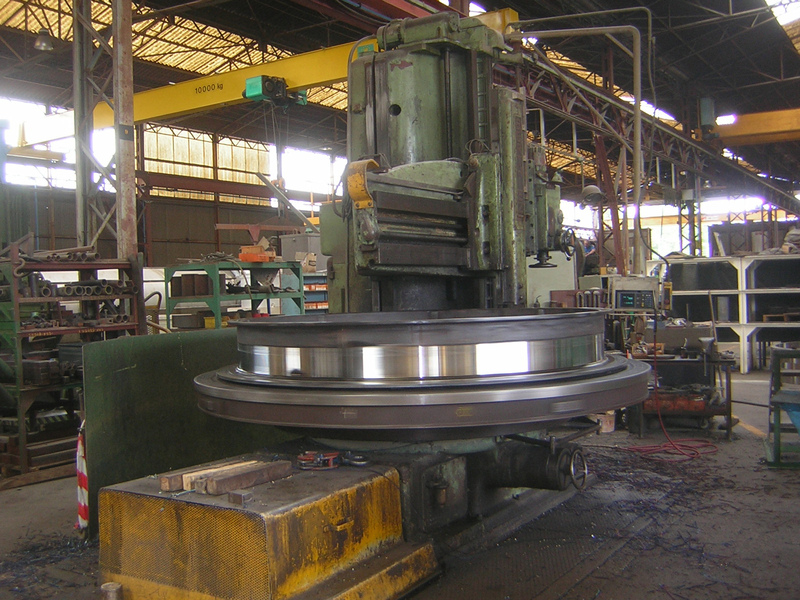 ▲ 1 parallel lathe, diameter 1200 mm, length 6 000 mm. ▲ 1 parallel lathe, diameter 500 mm, length 3 000 mm. 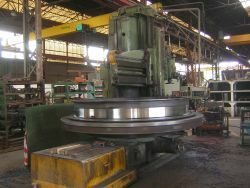 ▲ 1 vertical lathe, diameter 4 600 mm, height 1 660 mm. 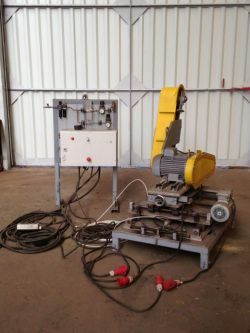 ▲ 1 milling machine HURON 8 000 x 1 200 x 1 200 mm. ▲ 1 milling machine LINE 4 000 x 1 200 x 600 mm. ▲ 1 automatic welding bracket SAF, H or Ø 4000 mm maximum, H or Ø 600 mm minimum, L 12000 mm with turning devices and plates. ▲ TIG, semi-automatic, rotary and static welding posts. ▲ 1 shear BAYKAL 3000 x 12. ▲ 1 press brake PROMECAM 4000 x 200 T.
▲ 1 rolling machine, capacity 3 000 x 30. 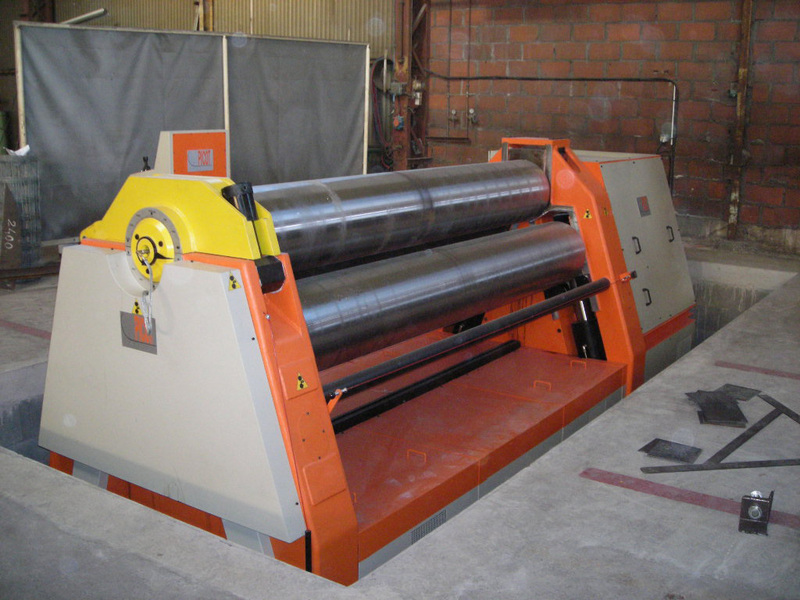 ▲ 1 rolling machine, capacity 2 000 x 6. ▲ chainsaw - saw milling. ▲ semi-automatic welding posts (MIG - MAG, TIG, etc.) maxi 450 mm. ▲ preheating oven (500°C), Ø 1 000 mm, height » 1 000 mm. ▲ 4 overhead cranes: height 5 meters, with a span of 18 meters, lifting capacity 20 tons. 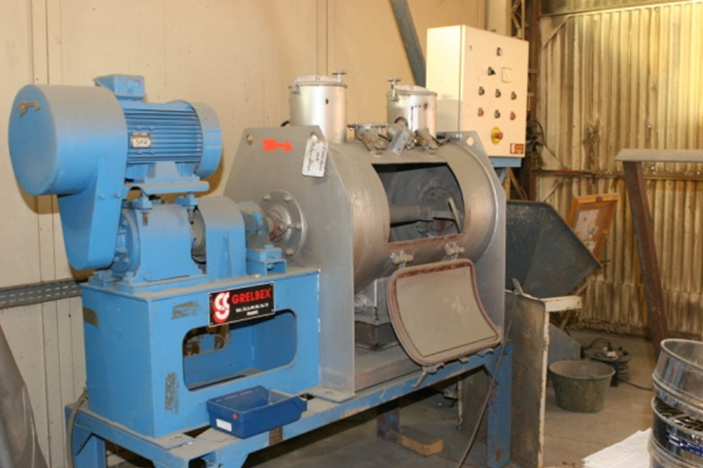 GRELBEX Technologies has an Engineering Department composed with engineers specialized in Mechanics and in Automatism. Computers equipped with CAO / DAO main software: Solidworks 3D - Autocad 2D and specific software for electrical functional analysis: SEE Electrical and for calculation notes: COSMOS. The aim of GRELBEX team's goal is to supply fit equipment through up to date design and manufacturing qualities, easy use and low maintenance cost. Tests laboratory are available for customers and partners to validate, to choose the most equipments for the different products, and to refine the installation parameters. proceed as preventive maintenance such as used parts replacement or useful interventions prescriptions. GRELBEX Technologies After-sales Department proposes a large range of spare parts.